Throughout its history, the Charles Playhouse has always provided a home for Boston’s rebels and innovators—including a speakeasy, a jazz nightclub, and now, Blue Man Group. You're a Very Important Person and we take that seriously in Boston so you deserve the Very Importantest options we offer. Add a VIP Upgrade to any ticket, or take it to the next level with the Platinum Experience. take advantage of special offers. 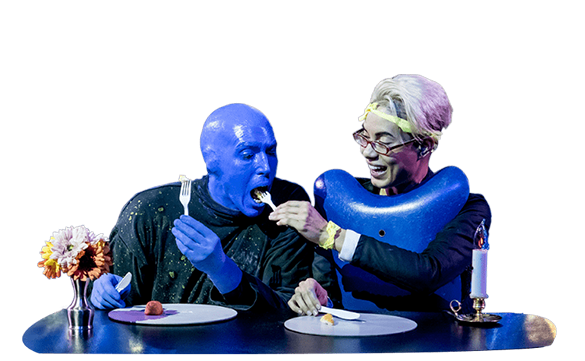 We know you have to eat so why not show your Blue Man Group ticket at our restaurant partners and save 15%! There are options for everyone like Abby Lane, M.J. O’Connor’s and Fire & Ice. Please click here for a list of theatre policies. The Charles Playhouse is located in the heart of Boston which means street parking is limited. However, validated parking is available for $10 at the Stuart Street Garage 9located at 200 Stuart Street). This special rate is good for up to five hours Monday-Friday after 4pm, and anytime during the weekend up to 5 hours. After 5 hours, validation is void and regular rates apply. To take advantage of the discount, pick up validation at the Theatre Box Office. Reserve your parking space here & click here to view the map. The Charles Playhouse is located in Boston’s Theater District. Please leave ample time for travel, parking, walking, security screenings and bathroom visits prior to the performance. The Charles Playhouse Lounge is open one hour before the performance and we suggest arriving 30 minutes ahead of show time. Large groups should plan to arrive even earlier. Never laugh on an empty stomach. 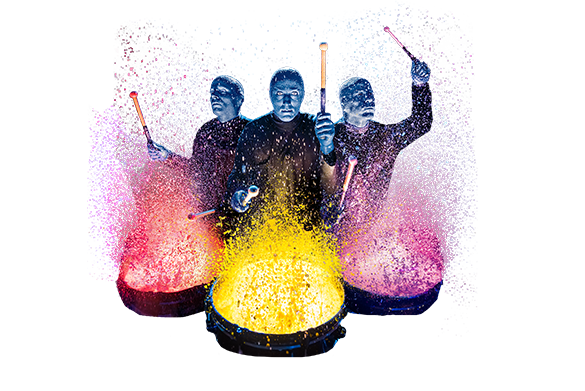 Show your same-day Blue Man Group tickets at one of our neighborhood restaurant partners and feed your fun before or after the show! *Valid for same-day visits only. 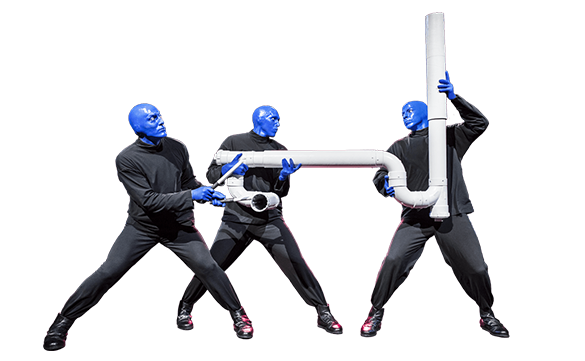 Show your Blue Man Group tickets to a staff member to redeem. Cannot be combined with any other offer or promotion. Discount cannot be used on alcohol. 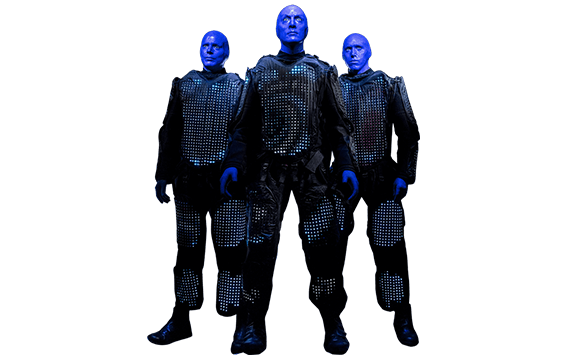 At the Charles Playhouse in Boston you will experience the Blue Men in their original Boston Home. “Mini-Group” discounts are available for 8-14 people. Full group discounts start at 15 people. Groups receive exclusive discount rates at many performances, avoid online service fees, and can get priority booking before dates are on-sale to the general public. We offer flexible payment policies, allowing you to hold reservations and modify them until a few weeks prior to the performance. Plus, our dedicated Group Sales team in each city will guide any questions you may have along the way, and make your experience quick, easy and fun. Learn more at groups.blueman.com and contact Group Sales at 800-BLUEMAN or email groupsales@blueman.com to begin.